The LEMP Stack is a group of software that can be used to serve dynamic web pages and web applications. This is an acronym that describes a Linux operating system, with an Nginx web server. 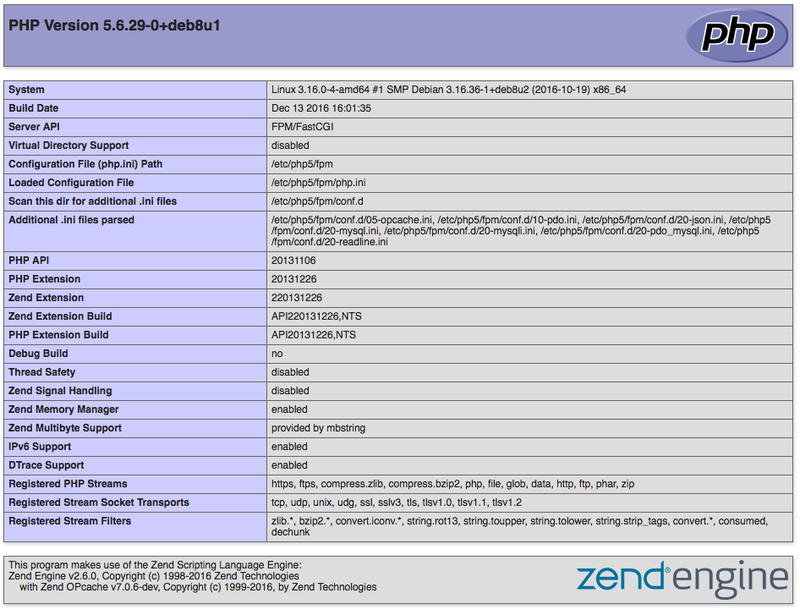 The backend data is stored in the MySQL database and the dynamic processing is handled by PHP. 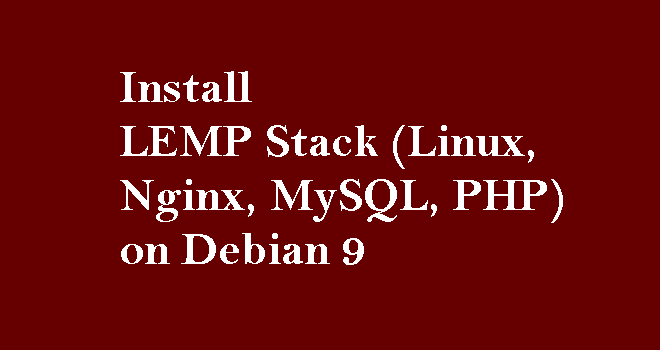 In this tutorial, we'll show you how to install a LEMP Stack on a Debian server using the packages provided by the operating system. To follow this tutorial, you will need a Debian 9 server with a non-root user with sudo privileges. You can set up a user with these privileges in our Basic Server Setup with Debian 9 guide. If you have the ufw firewall running, you will need to allow connections to Nginx. You should enable the most restrictive profile that will still allow the traffic you want. Since we haven't configured SSL for our server yet, in this guide, we will only need to allow traffic on port 80. Now, test if the server is up and running by accessing your server's hostname or IP address in your web browser. We do this on the server block level (server blocks are similar to Apache's virtual hosts). We're going to leave the default Nginx configuration alone and instead create a new configuration file and new web root directory to hold our PHP files. We'll name the configuration file and the directory after the hostname that the server should respond to. If you see a page that looks like above, you've set up PHP processing with Nginx successfully.